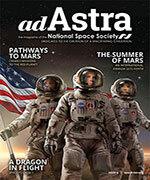 NSS CEO Mark Hopkins writes on The Long Run Geopolitics of Space Settlements in the latest issue of Ad Astra magazine. Below is a précis. The vast majority of the resources of the solar system are in space rather than on the Earth. As I have argued in an earlier column, there are enough materials in the solar system to build O’Neill space settlements with a combined land area of one million times the land area of the Earth. Given the available land area, it is likely that the vast majority of humans in the solar system will eventually live in space. Let’s assume this is true and ask, what are the geopolitical implications? If the vast majority live in space and their per capita income is at least as large as those who live on the Earth, it follows that the size of the space economy will be much greater than the Earth economy. Thus, space settlers will eventually dominate human solar system civilization in the economic, military, cultural and technological spheres. 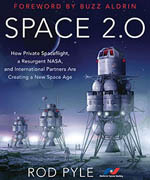 Who leads the space settlement effort will have a profound impact on the future of human civilization. This is a fundamental geopolitical consideration that all those who care about the future of humanity need to take into account.